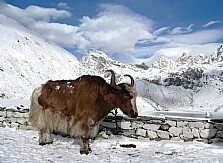 yak bone, cow bone, ox bone and other skeletal remains. 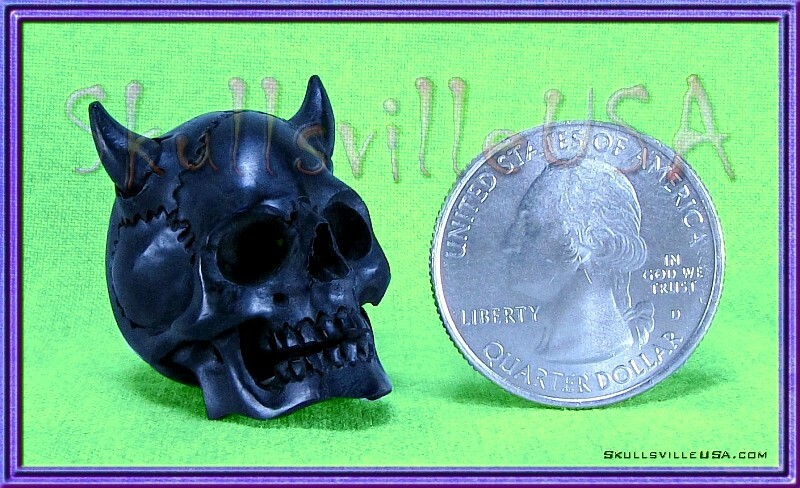 Shipping prices on this site are for US shipping only. 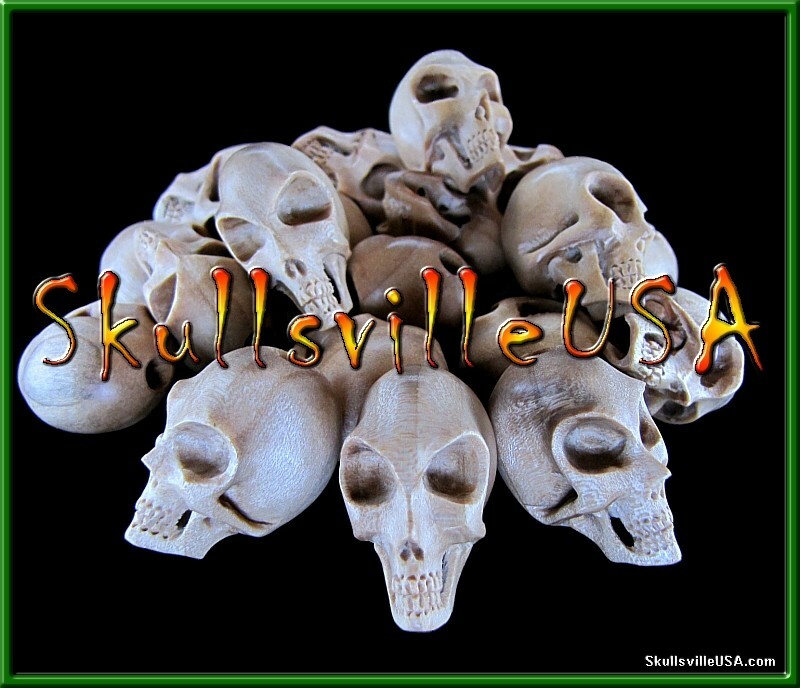 Designed by and created exclusively for SkullsvilleUSA! and no two beads are exactly alike! 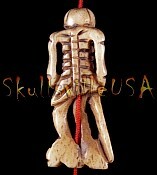 Each bead measures about 30mm tall and highly detailed. Beading hole is just over 4mm wide and runs from top to bottom. 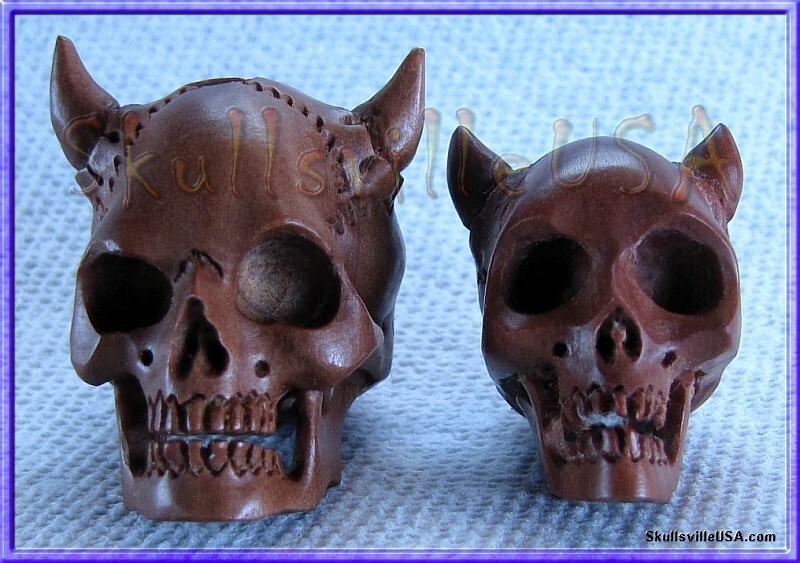 Beads measure about 26mm tall and highly detailed. 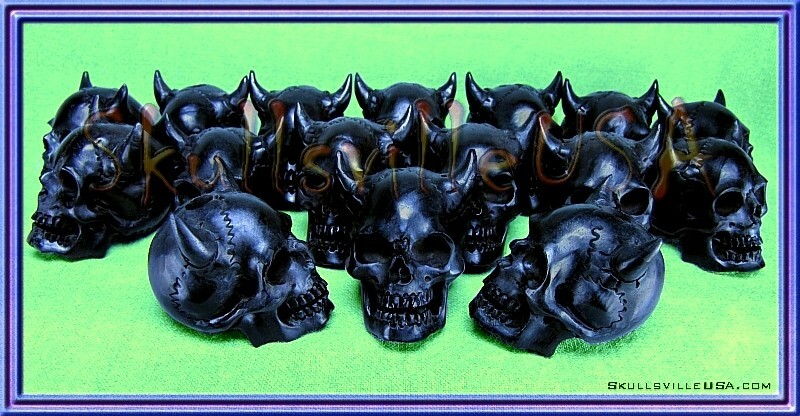 is often used to make plugs (for your ears). The 2 images below show our latest arrivals. arrived with some slight differences. 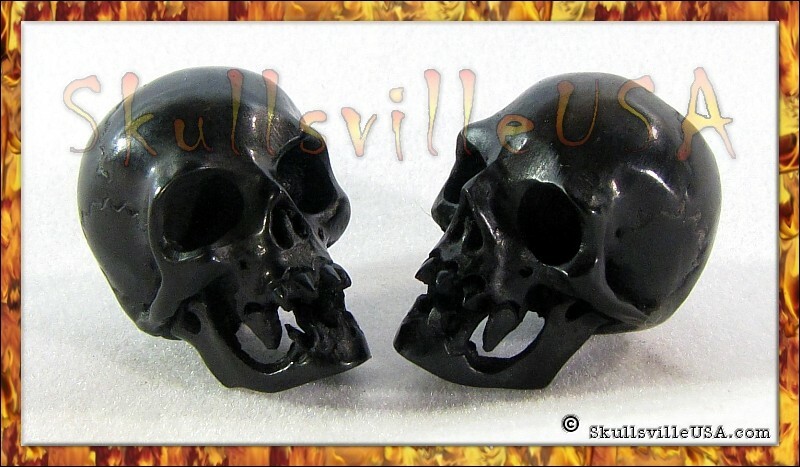 They are slightly smaller and the teeth are a bit pointier. The beading hole remains about 4.5mm wide. and there may be differences from batch to batch. as our next batch should be back to the original design. Each bead measures about 24mm tall and highly detailed. is a contemporary name for the devil. 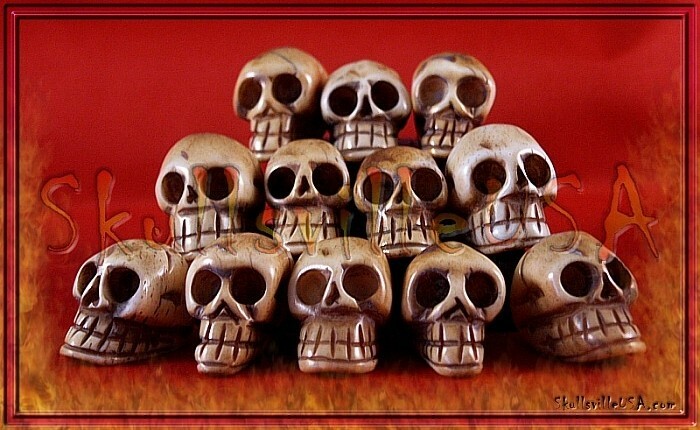 Beads are 12 to 14mm tall & about 11mm wide. that strongly resembles a cross between Cherry wood and Teak. this gorgeous wood is currently not illegal to harvest. 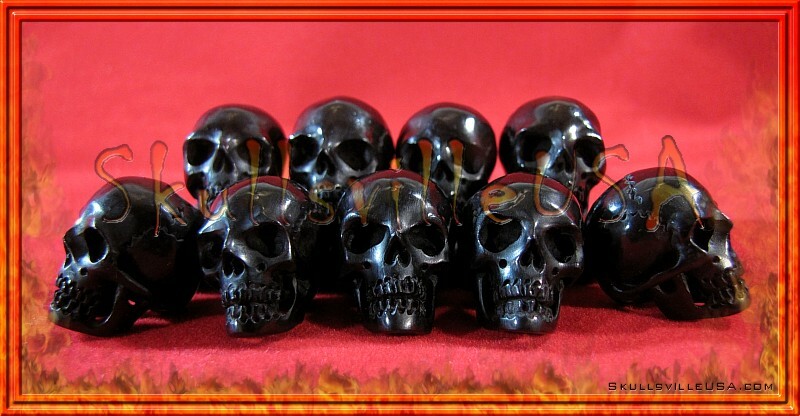 These breathtaking beads are individually hand-carved. Design & tone will vary slightly from bead to wonderful bead. Beading hole is about 4mm wide and runs from top to bottom. 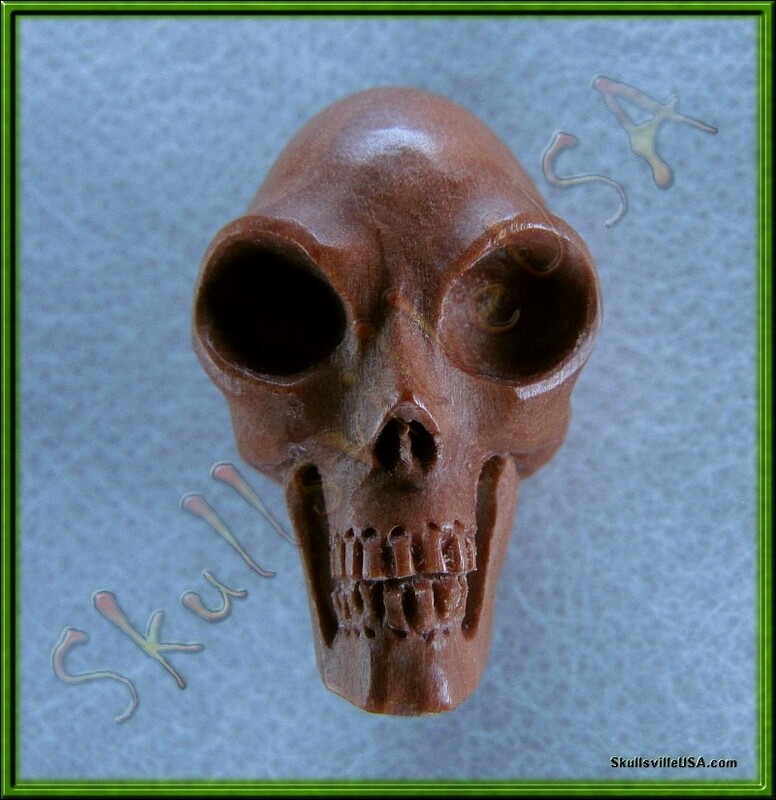 Each bead measures about 22 to 23mm tall and highly detailed. Beading hole is about 3 1/2mm to 4mm wide and runs from top to bottom. 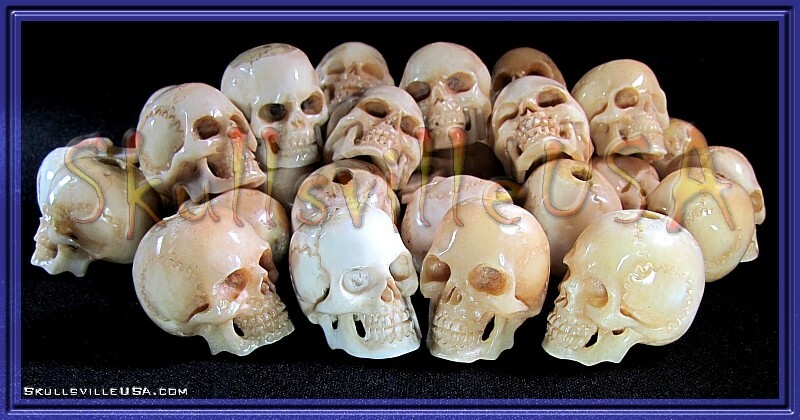 These breathtaking beads are individually hand-carved and about 12 to 13mm tall. Beading hole is about 2mm wide and runs from top to bottom. 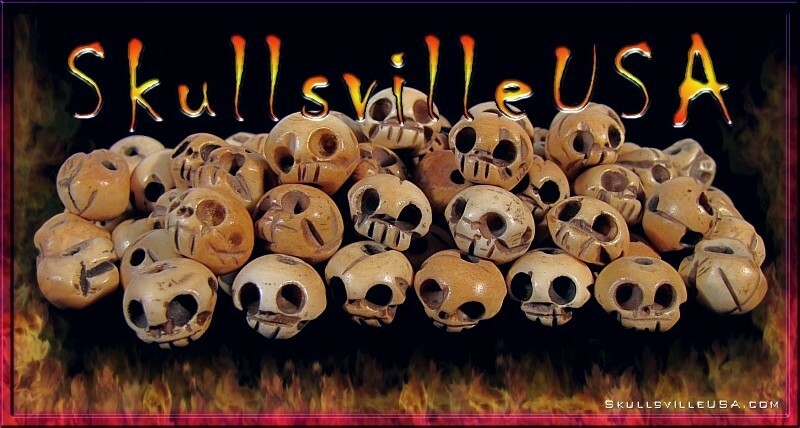 No Buffalo was intentionally killed for it's bones! 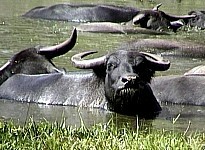 The bone is a by-product from buffalos raised for food. Design & tone will vary slightly from bead to magnificent bead. No two beads will ever be exactly alike. 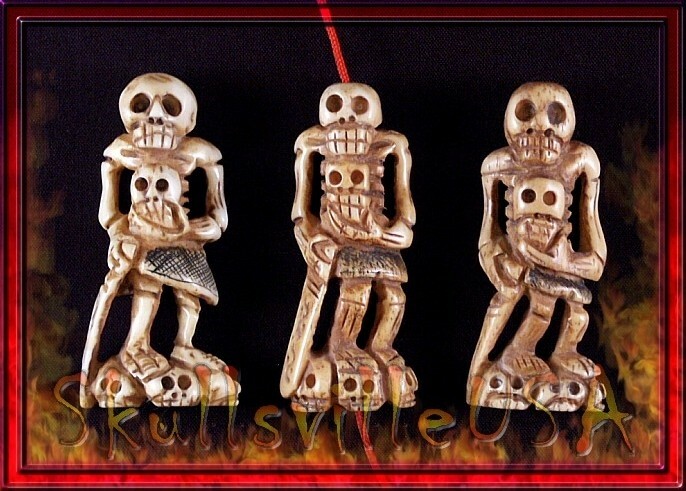 These impressive beads are individually hand-carved. 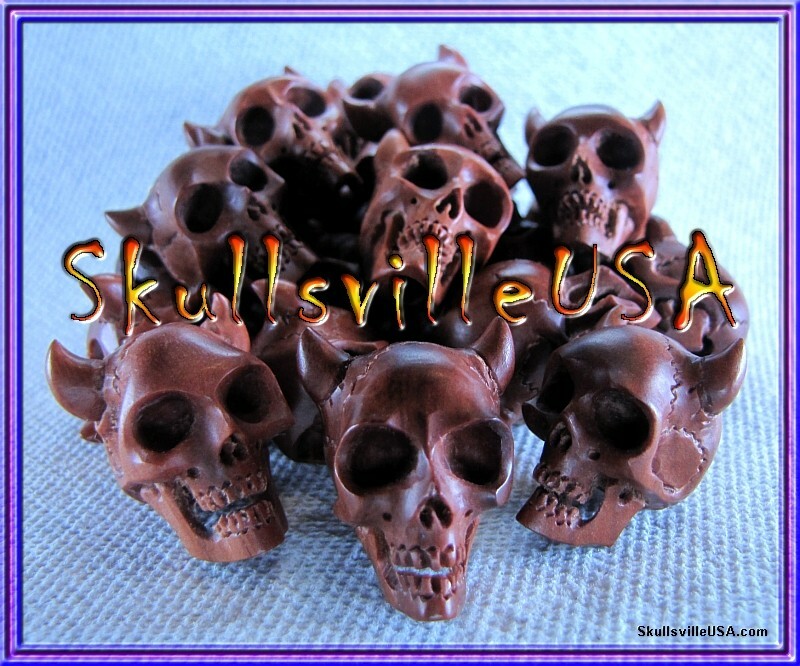 Each bead is about 22mm tall by about 9mm wide. 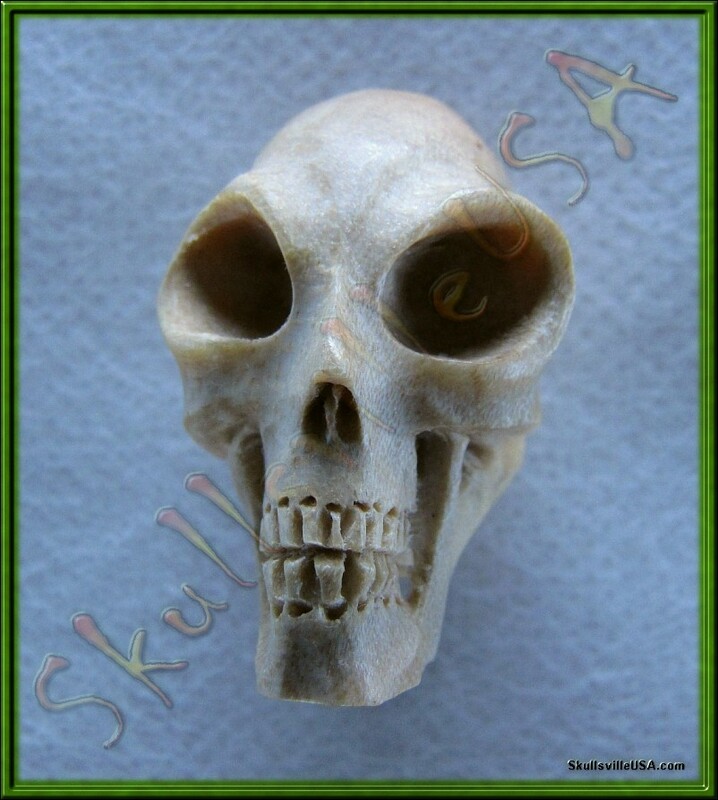 No animals were intentionally killed for their bones! cows & bulls that were raised for food. Design & tone will vary slightly from bead to awesome bead. and the beading hole is about 2mm wide. The face design is on both sides. 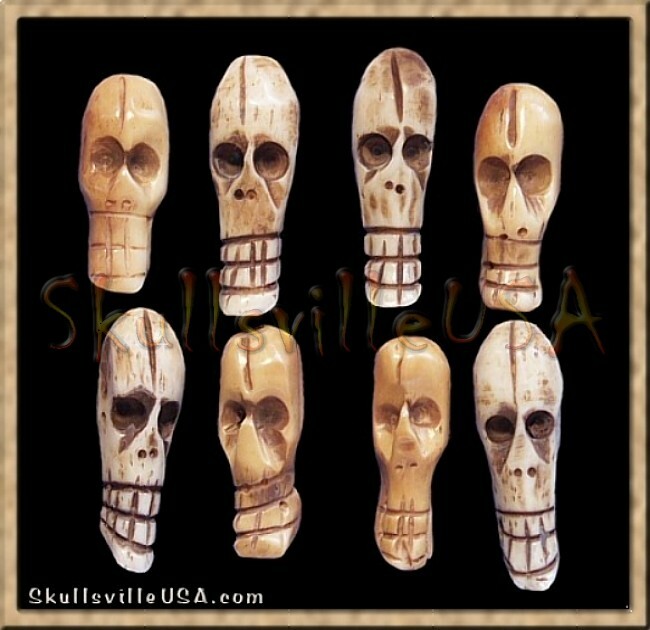 These hand-carved skull beads are similar to the regular Fathead Skull Beads, only larger. They are about 9mm tall, 12mm side to side, and the beading hole is about 2mm wide. 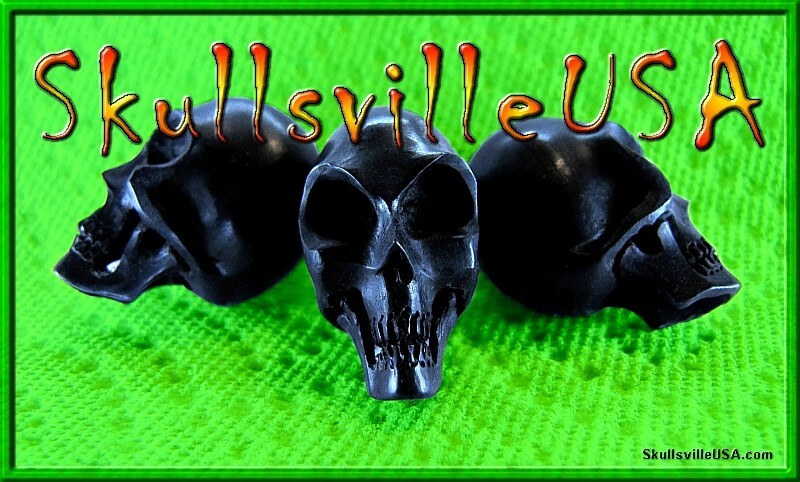 Another phenomenal skull bead from SkullsvilleUSA! 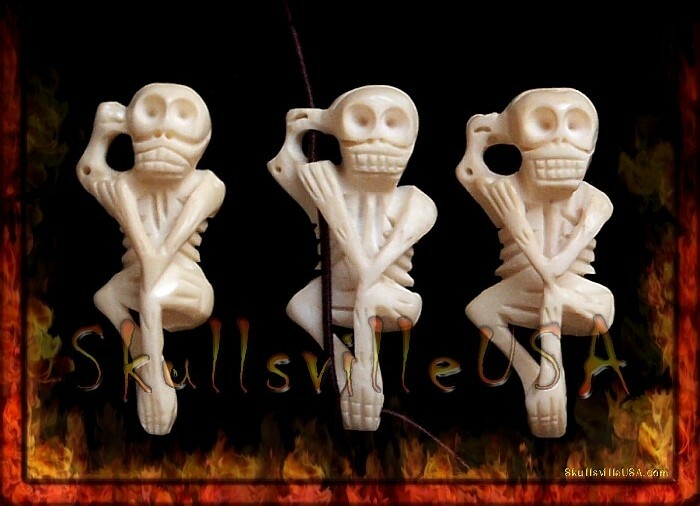 Exquisitely hand-carved bone skeleton beads. 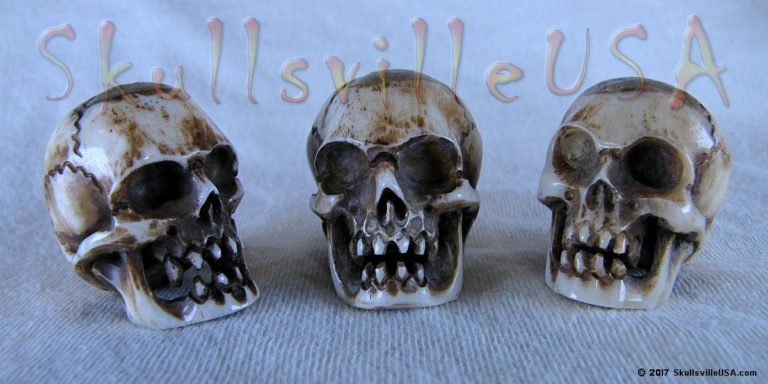 About 45mm tall with three 1mm wide beading holes. or as a focal piece in the center. For those with impeccable taste! 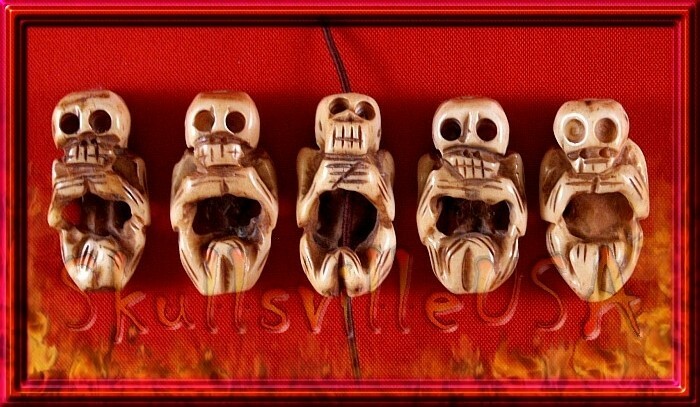 Beads are about 20mm tall & 15mm wide & 22mm front to back. so expect each to have it's very own special personality! and their design covers both sides. 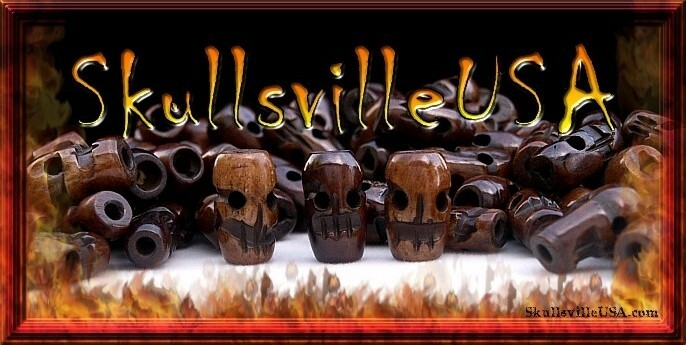 Beads are about 30mm tall & 15mm wide. of these individually created classic characters! 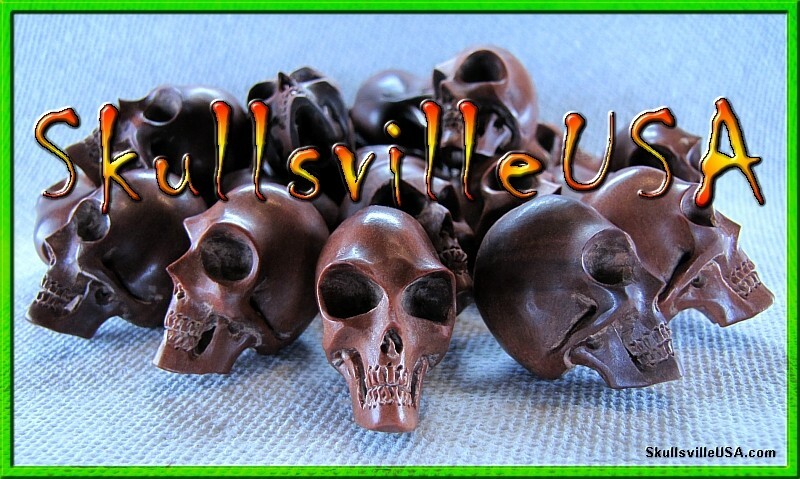 brought to you by your friends at SkullsvilleUSA. The intricate design covers both sides! 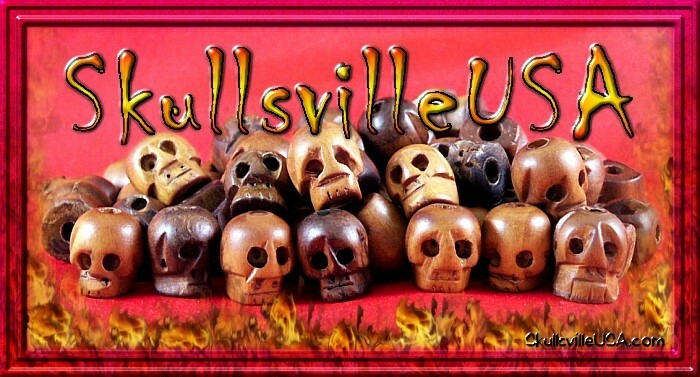 Beads are about 55mm tall & 23mm wide. each "Hamlet" is a masterpiece!